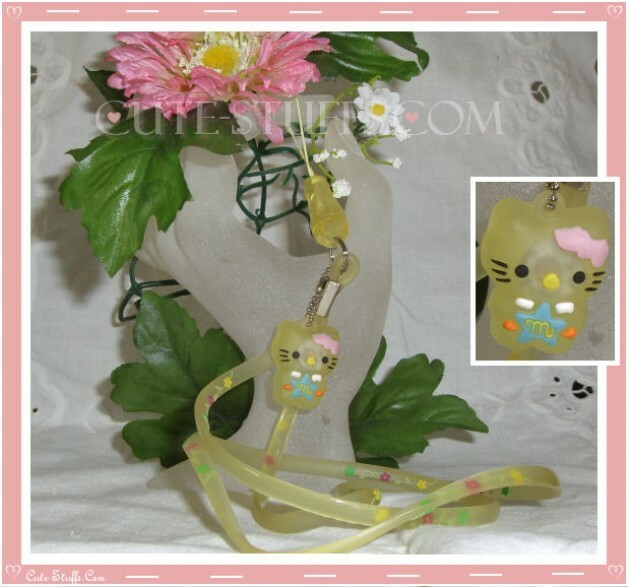 Kawaii Rare Flashing Hello Kitty Rubber Translucent Lanyard! Yellow - Flashing Phone Straps - Phone Straps ♥ Cute-Stuffs.com! ♥ Kawaii Shop - Phone Straps, Charms, Dust Plugs & More! Features an additional strap to use as a charm! VERY RARE!